I love Baileys, but it seems to be associated with Christmas, log fires and cosy chairs occupied by old people. Increasingly, it also evokes memories of a cooling summer cocktail by the pool. 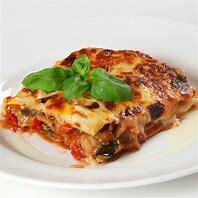 However, the drink was first introduced in 1974- the year Abba won Eurovision with 'Waterloo' and Britain was beset by blackouts and a three-day week. But now in fact, the Irish whisky and cream liqueur is so popular all year round that it has been added to the UK nation's official shopping basket used to measure inflation. While Baileys has never really been out of the drinks cabinet, it is now very much in vogue - used in a wide variety of cocktails and hot drinks. 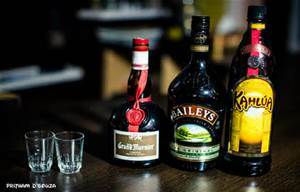 The liqueur is a mixture of cream, vanilla, chocolate and whisky and is among a range of products added by the Office of National Standards this year to our measure of inflation to reflect the UK's changing shopping habits. Also added are coffee machine pods, large chocolate bars, lemons, high-protein meat-based snacks and microwave rice pouches. 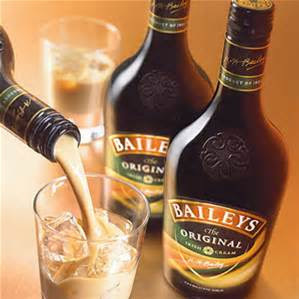 But back to Baileys - for my overseas readers, Baileys won gold in the World Spirits Competition in 2012 and is often drunk neat over ice or it can be mixed with rum and Kahlua to make a B52 cocktail.